Digital radiography (digital x-ray) is the latest technology used to take dental x-rays. This technique uses an electronic sensor to capture and store the digital image on a computer. 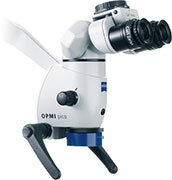 This instant image can be viewed and enlarged helping us detect problems easier. Digital x-rays also reduce radiation 80-90% compared to traditional dental x-rays. Dr. Nima uses a special microscope during treatment to allow for enhanced vision through illumination and magnification. 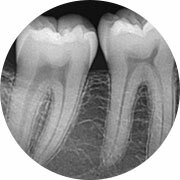 This technology greatly improves the doctor and assistant’s view inside the tooth facilitating a more thorough treatment, especially in locating calcified canals and diagnosing root fractures. Through the microscope we are able to take digital pictures/movies of the procedure. 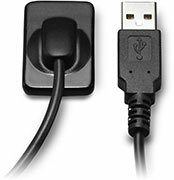 These can then be sent to your family dentist for increased communication of your specific needs. This helps bridge the gap between our office and your referring family dentist and helps augment the quality of care. 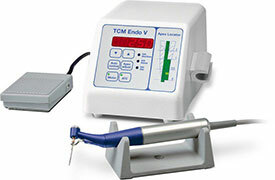 Instead of using a drill inside your tooth, this device vibrates a diamond coated metal tip at high frequency. Because it is very small, it can be used under the microscope for precise removal of small amounts of tooth or fillings, allowing for conservative treatment of your tooth. 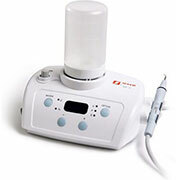 Dr. Nima also uses quiet electric handpieces (drills) to help eliminate the sound of the dental drill. This device helps Dr. Nima to precisely measure the length of the tooth’s roots electronically for complete cleaning of the tooth. Since it is very accurate, it reduces the number of x-rays normally needed during the procedure. Used along with digital x-rays, this device lowers patient radiation exposure even further. Our special digital handpieces control high tech nickel-titanium instruments with great precision. These sterilized units sense when torque (tightness) approaches pre-set resistance levels, and they reverse rotation to adjust to these limits. The efficiency of these instruments helps to reduce the patient’s chair time. This means all x-rays and charting are made and recorded with the aid of the computer. This technology allows us to maintain your dental records electronically, and cuts down the unnecessary paperwork used with traditional paper charting. It also allows us to quickly communicate with your family dentist regarding your tooth. In keeping with our paperless standard, we also utilize electronic claims processing. This means that rather than sending your dental claim through the mail, it is sent electronically to your insurance company with the click of the button. By filing your claim electronically, information is submitted more efficiently and with fewer errors. This benefits our patients because the turn around time on claims is faster and fewer claims are returned or denied.